The Department of Statistics, Malaysia was established in 1949 under the Statistics Ordinance 1949 and was then known as the Bureau of Statistics. The statistics produced then were limited to external trade and estate agriculture. 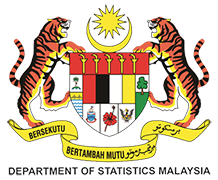 In 1965, the name of Bureau of Statistics was changed to the Department of Statistics, Malaysia and was operating under the provisions of Statistics Act 1965. The Department's functions and role had expanded whereby the data/information collected included the economy and social areas. The Department of Statistics, Malaysia is a premier government agency under the Prime Minister's Department entrusted with the responsibility to collect, interpret and disseminate latest and real time statistics in the monitoring of national economic performance and social development. The Department’s goal is to increase and broaden its role as the premier agency in the field of statistics towards establishing a quality, user-oriented and timely information system for the formulation of policies for national development planning and administration. Broaden the use of statistics among users. Bank Negara Malaysia has played a significant developmental role in developing the financial system infrastructure in advancing the financial inclusion agenda. This is to ensure all economic sectors and segments of the society have access to financial services. In addition, Bank Negara Malaysia also oversees the nation’s payment systems infrastructure which emphasise on the efficiency and security of the financial systems. Among the major role of the Bank is the prudent conduct of monetary policy, which has seen generally low and stable inflation for decades and thereby, preserving the purchasing power of the Ringgit. The Bank is also responsible for bringing about financial system stability and fostering a sound and progressive financial sector. There is now in place a well-diversified, comprehensive and resilient financial sector, that is able to meet the increasingly sophisticated needs of consumers and businesses, and which has become a growth driver in the economy. The Bank also plays a significant developmental role, including development of financial system infrastructure with major emphasis placed on building the nation's efficient and secured payment systems as well as the necessary institutions (including Securities Commission, KLSE, now known as Bursa Malaysia and Credit Guarantee Corporation) which are important towards building a comprehensive, robust and resilient financial system. The Bank actively promotes financial inclusion, which has led to improved access to financial services for all economic sectors and segments of society, thereby supporting balanced economic growth. The roles of the Bank are supported by 39 departments/units covering the following seven functional areas. Malaysia Institute of Statistics (ISM) was registered under the Societies Act 1966 as a non-profit making body on 17 August 1984. The idea of establishing such a society was initiated on 20 May 1981 with the setting up of a Pro-team Committee for ISM. 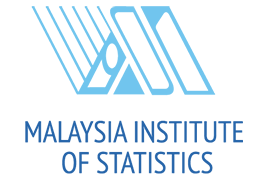 To be a leading organisation in promoting the proper practice, propagation and dissemination of statistical knowledge for the benefits of society. Expand its circle of influence through interactions with professional societies, government agencies, and other organisations.